Olympus has a broad spanning range of Compact System Cameras (CSCs), and the E-M5 Mk II is the latest addition to the pack. 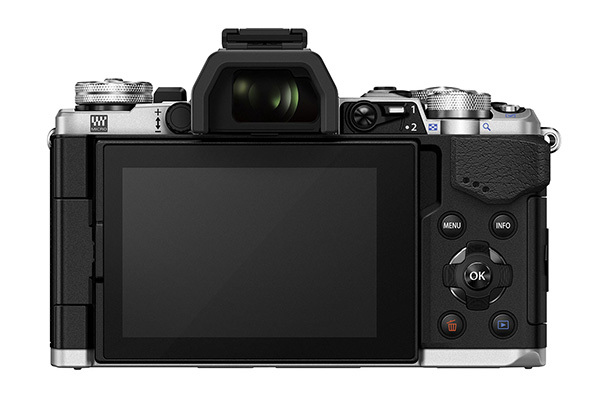 The Mk II replaces the three-year-old E-M5, which sat in between the entry-level E-M10 (£399) and flagship E-M1 (£899). Many of its upgrades have been borrowed from the latter, including an enhanced Electronic Viewfinder (EVF), faster 10fps burst rate and 81 point AF system. Its 5-axis image stabiliser has also been improved, now claiming an impressive 5-stop advantage. The OM-D design is based on the Olympus OM film cameras of yesteryear, so it has a little retro-style to match its substance. How does it fare on test? We find out. It would take a keen eye to tell the Mk II from the original E-M5, as external changes are minimal. The body has been refined, and with dimensions of 123.7x85x44.5mm it’s a little wider and deeper, but also 5mm more stout. Changes are much more apparent under the bonnet, though. Dive beneath the weather-sealed magnesium alloy body and you’ll find the 16.1Mp 4/3in Live MOS sensor. Now this isn’t new, but it does feature a Voice Coiled Motor (VCM) which paves the way for its groundbreaking 5-axis sensor-based image stabilisation. The TruePic VII processor has been carried over too, yet there’s a clutch of speed-based upgrades. The maximum shutter speed has been accelerated by a full stop to 1/8000sec, and its maximum burst rate is around 10% faster than its predecessor at 10fps. The autofocus has been enhanced, too. With a total of 81 AF points to choose from when using the Fast AF, you have 46 more than the previous model. You can also manually select from no less than 800 different areas to focus using the rear D-Pad. Turn your attention to the back and you’ll find the 3in 1037k-dot OLED. The display is richer in definition with 1.7x the resolution of the original. The screen can be flipped away from the body for self-portraits and can be tilted to assist with awkward compositions.Above it, you’ll find the Electronic Viewfinder (EVF). At 2360k-dot, its resolution is identical to that found in the flagship E-M1, and 64% higher than the Mk I model. The Mode dial sits to the left of the EVF and power switch. It features M, A, S and P modes and turns with a firm click. It can be locked into a specific mode with a central button which stops it from being changed accidentally. There’s a hotshoe on top of the EVF for flashguns and accessories, and a cluster of buttons and dials sit to the right, including three function buttons which can be customised and a button that starts video recording. Exposure adjustments can be made easily as dual Command dials are featured. The new Hi-res Shot Mode takes eight sequential images and merges them into a single 40Mp JPEG. This mode works best on a tripod using a static subject. The Live Composite mode is also new. It’s ideal for light painting as the screen refreshes while you’re exposing, allowing you to see exactly what you’re doing. The Mk II’s front grip is quite shallow, so you don’t get a solid grasp like you would on a D-SLR, but the rear thumb grip is a good size to give some security. With a weight of 417g, the camera is planted firmly in your hands. With larger lenses, like the 12-40mm f/2.8 PRO we tested, the Mk II becomes quite front heavy. It adds an extra 381g – nearly doubling the body weight when mounted. That said, it’s half the size and weight of a full-frame equivalent 24-70mm f/2.8, and its focus and zoom rings gave good purchase. One niggle with the lens is that the lens cap cannot be pinched from the outer rim, and this made it more fiddly to attach and remove. Twin Command dials are a great addition, but while the rear dial turns with a firm click, the front dial is a little spongy. This made it easy to inadvertently add Exposure Compensation. The ergonomics of the power switch are questionable because it’s placed on the top-plate next to the Mode dial – this means you need to take your hand away from the lens to turn it on or off, so shooting was slowed a little. The 3in 1037k-dot screen is bright and clear, and its ability to flip out and rotate made composing a joy. In addition, the E-M5 Mk II’s 2360k-dot EVF is fluid and responsive, displaying all of the information you can see on the rear screen. The 5-axis Image stabilisation is sublime. You can see how steady the image is live on the screen – it’s like you’re using a Steadicam! The Mk II is capable of sharp, hand-held shots at shutter speeds as slow as 1/4sec. But, it’s worth noting that it can only correct for camera-shake caused from hand-holding, and cannot reduce blur caused by subject movement or from focusing error. The burst rate has been increased by 1fps, taking the top speed to a racy 10fps. It’s not the fastest on the market, but as a comparison, Nikon’s £4449 flagship D4s shoots just a notch quicker at 11fps! The AF mirrors this high-speed performance. The Fast AF system claims to lock on at an unparalleled speed, and we couldn’t disagree – it’s lightning fast! Focus was reliable and brisk, even in low light. The Mk II quickly dispatched its shots to our PNY 95MB/s test card, at 0.97sec to write a single large JPEG and 1.44secs for a single RAW. In a continuous 10fps burst we shot 20 JPEGs before filling the buffer, and these took 2secs to write. Twenty RAWs could be shot before it slowed, and these took 5.34secs. The E-M5 Mk II is available as a kit with 12-40mm f/2.8 PRO lens for £1499, or 12-50mm f/3.5-6.3 EZ for £1099. The body alone is £899. This is a sizeable chunk of cash, so it’s worth considering full-frame cameras at similar price-points. This doesn’t have to mean bulky D-SLRs – Sony’s A7 Mk II is larger than the E-M5 Mk II, but is still a CSC. It has a full-frame chip and 5-axis image stabilisation, but at £1649 with 28-70mm lens, it costs more and can’t match the E-M5 Mk II for speed. 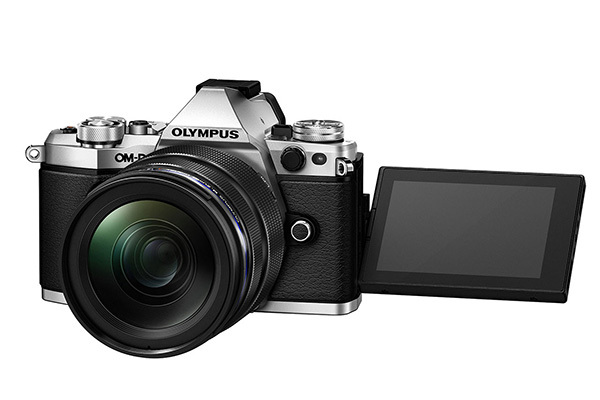 The Olympus E-M5 Mk II has all of the functionality of a D-SLR in a sleek, retro-styled body. It’s a fully comprehensive camera with the ability to change lenses, shoot RAW, compose through its viewfinder or dial in exposure values using the twin command dials. When it comes to space and weight, the Mk II is impressively compact, and its slender proportions make it easy to shoot street candids without attracting attention. It was impossible to mark it down when it came to performance – the image stabilisation system is brilliant for low-light situations and its autofocusing was first-class too. One negative is the price. At £1499, the Mk II is up there with full-frame cameras, so you’ll need to decide whether you want the portability of this compact marvel, or the image quality of a larger, full-frame camera. This review was first published in the June 2015 issue of Digital Photo - download back issues here.